As the Director and Chief Instructor for the Krav Maga Training Academy, Tim has been training in Krav Maga since it first started in Australia in 2002. Tim is the only person in Australia recognised by the IKMF as an instructor in both the restricted Law Enforcement and Military components of Krav Maga. He has also completed his certifications in all civilian Krav Maga fields including Kids Krav Maga, and the ground-breaking women's "Stay Away!" program. He is currently the Australian Coordinator for the "Stay Away!" program running workshops at least once-per month to the public, and many more in the private sector. Tim has trained in a number of countries in Europe, Asia, and in Israel at IKMF HQ with the head instructors of Krav Maga. He is currently one of the most active Krav Maga instructors in Australia, running regular classes and private sessions six days a week in Brisbane, corporate sessions, and regular workshops. In November 2009 Tim became the youngest in Australia at that time to achieve the rank of "Expert Level 1" and was the first person in Australia to reach the Expert levels that started off as a beginner Krav Maga student. Since then Tim has risen through the Expert Ranks and is currently graded to Expert Level 3. He is one of only a handful people ranked E3 or higher in the world. In February 2014, after a brief care-taking role as National Director for the IKMF in Australia, a new National Director was appointed through election and Tim was promoted to the role of E.I.T. 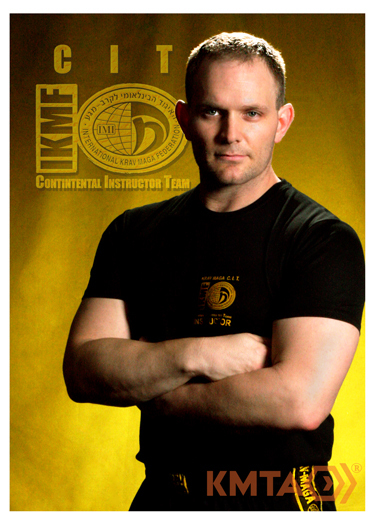 as a member of the IKMF's World Expert Instructor Team. He was only the 2nd person in the world to be nominated to the growing E.I.T. In May 2016 in Israel, Tim became the first person to be promoted from the E.I.T. to the Continental Instructor Team (C.I.T.) This promotion made him one of only two people world wide to be part of the C.I.T. Tim is responsible for the professional growth and development of the IKMF in Australia, New Zealand and the Far East. Aside from running KMTA, he is now regarded as Asia-Pacific's Subject Matter Expert in Krav Maga for the IKMF, and is responsible for the professional/skills development of instructors, quality control, and spreading Krav Maga in close cooperation with the National Directors of countries in this region. Tim has been described by Avi Moyal, head of the IKMF as "A person with a depth of understanding of Krav Maga that is rarely seen outside of Israel."